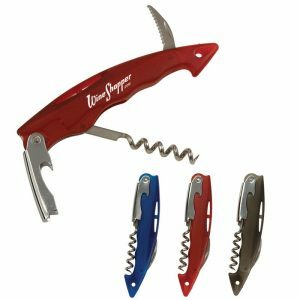 Popping the cork on a new bottle of wine is a moment of fun and excitement; just imagine how exhilarating it is every time you pour your favorite wine for family, guests, or yourself. But placing the same plain and boring cork back in the bottle is a drag, and very difficult to do since the cork expands once it is out of the bottle. 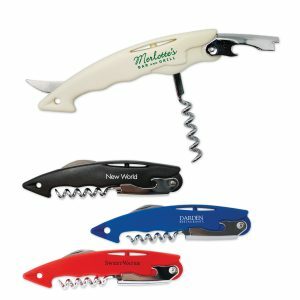 At Promo Excitement, we can make life a little less difficult and help find an alternative to reusing corks to seal your wine bottles. 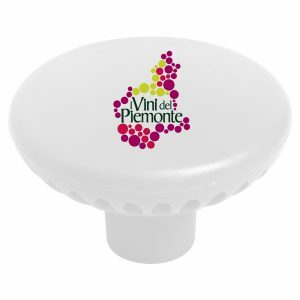 Introducing our selection of custom wine stoppers! 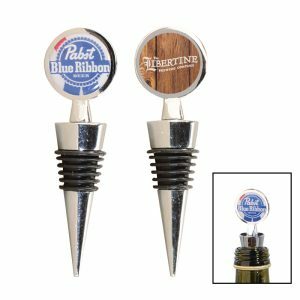 At first these promotional wine stoppers might seem like fancy decoration for your bottles, however the truth is they provide much more benefit than acting as eye candy. 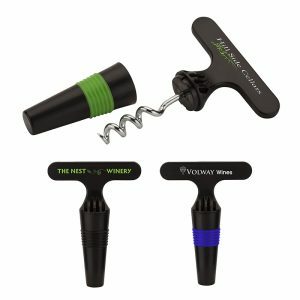 For example, should you have multiple bottles of wine open at once during a wine tasting, different personalized wine stoppers may help differentiate the brands and types of wine when all the bottles look the same. 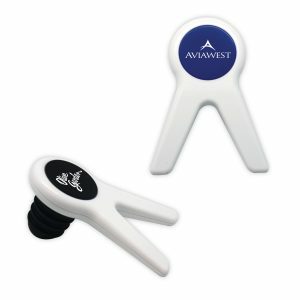 This allows wine tasters to find their favorite wine among other bottles as they return to refill their glass. For those of you who only occasionally drink wine, using a branded wine stopper still beats reusing a cork. Many stoppers are made of materials that are much more durable than corks. 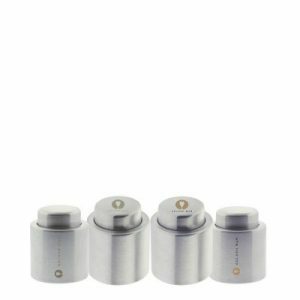 Our metal wine stoppers also feature rubber rings that make a tighter seal in your bottle, better keeping the wine from harmful air exposure. 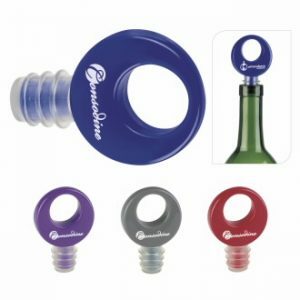 Give Away Wine Bottle Stoppers! 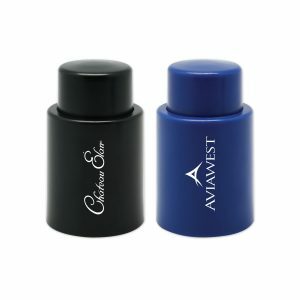 Whether as an event giveaway or an employee gift, our personalized wine stoppers bring a touch of style to any occasion. For real estate businesses, celebrate and add to the home’s new decor by pairing a custom wine stopper with a classy bottle of wine. 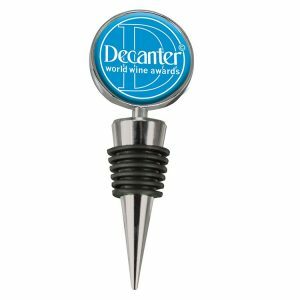 Wine favors always make great gifts at upscale events, so consider personalized wine stoppers as a thoughtful “thank you” gift clients. 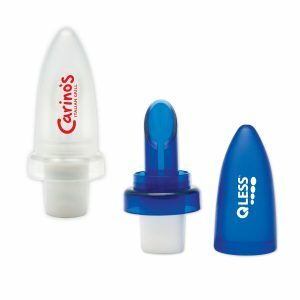 No matter your interest or needs, with our selection you are sure to find the perfect promotional product! Quantity Price (ea.) 100 $3.25 250 $2.89 500 $2.79 1000 $2.69 2500+ $2.59 $50.00 Setup for Laser Engraving $80 Setup for Full Color Epoxy Doming (also add $1.00 cost per item) Colors: Silver Imprint: 1" Dia. Laser Engraving or 4-color-process Epoxy Doming w. $80 setup and $1.00 run charge per item Product Size: 1 1/8" x 4"
Quantity Price (ea.) 150 $1.05 250 $1.00 500 $0.94 1000 $0.89 2500+ $0.82 $50.00 Setup Charge Colors: Black, Blue Imprint: 3/4" DIA pad print Product Size: 3" X 2" X 1 1/2"
Quantity Price (ea.) 150 $2.97 250 $2.80 500 $2.63 1000 $2.43 2500+ $2.18 $50.00 Setup Charge Colors: Blue, Black Imprint: 1 1/2" x 1"; TOP 3/4" pad print Product Size: 2 3/4" X 1 1/2"